"We were better off alone." For Life is not what we had hoped for. This science fiction horror film directed by Daniel Espinosa, and written by Rhett Reese and Paul Wernick. 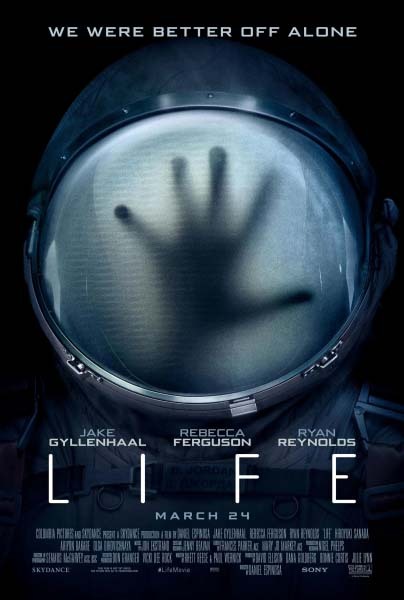 Life tells the tale of the six-member crew of the International Space Station that is on the cutting edge of one of the most important discoveries in human history: the first evidence of extraterrestrial life on Mars. As the crew begins to conduct research, their methods end up having unintended consequences and the life form proves more intelligent than anyone ever expected. In November 2015, Deadline reported that Daniel Espinosa would helm the science fiction horror from a script from Deadpool writers Paul Wernick and Rhett Reese. David Ellison and Dana Goldberg, of Skydance Media, along with Bonnie Curtis and Julie Lynn would produce. Paramount Pictures, Skydance's regular distributor, was interested in handling the distribution rights to the film. However, in March 2016, it was announced that Sony Pictures signed on to handle the worldwide distribution rights and to co-finance the film with Skydance. This marked Skydance's 1st project not released by Paramount. By July 2016, Espinosa had assembled his cast with established leading and characters which included Jake Gyllenhaal, Rebecca Ferguson, Ryan Reynolds, Hiroyuki Sanada, Ariyon Bakare and Olga Dihovichnaya. Originally, Reynolds intended to play the main character, but scheduling conflicts with The Hitman's Bodyguard (2017) forced him to take a supporting part instead. The casting of Reynolds make this film his second collaboration with director Espinosa, after Safe House (2012). In the same month, Principal photography on the film began, the film was primarily shot at Shepperton Studios, outside London. Originally slated for a March 24th 2017 release date, the film was ultimately moved up to a May 26, 2017 in order to avoid competition with Pirates of the Caribbean: Dead Men Tell No Tales (2017). The film stars Gyllenhaal, Ferguson, Reynolds, Sanada, Bakare and Dihovichnaya. The performances in the film were well-acted and thus differentiates itself from all the other science fiction horror flicks. As each cast member are equally given enough characterisation where not one cast member is the lead, rather making it an ensemble piece. The majority of Life portrays itself as an empty bag of tricks whose production values and expensive special effects can not hide this unfortunate fact. The film is basically just an intergalactic haunted house thriller set inside a spaceship, in the tradition of Alien (1979) and The Thing (1982). Making it a disappointment. However, we can still enjoy its unique weirdness, and the story is solid enough. It's still scary and entertaining stuff. Though now I have the feeling that nothing in it lives up to the tremendously audacious ending. It personifies the definition of "popcorn entertainment" - that is, the kind of film that relishes the thrill of its many ambitious moments without seeking total transcendence. So if you want cinematic kicks, Daniel Espinosa's film will give you them in profusion. It is still a worthwhile big budget flick amongst today's Hollywood slate. Film Review: "A Cure For Wellness" (2017). "Do you know what the cure for the human condition is? Disease. Because that's the only way one could hope for a cure." 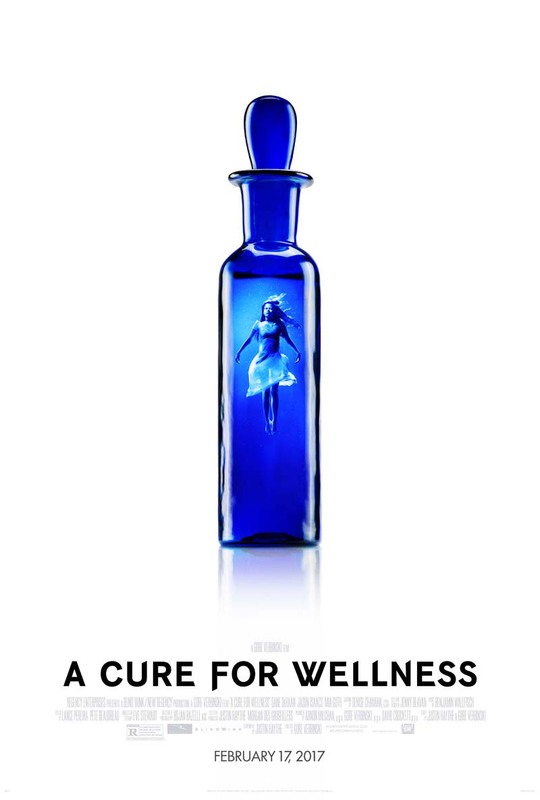 This is A Cure For Wellness. This psychological horror thriller film directed by Gore Verbinski and written by Justin Haythe. The film follows an ambitious young executive who is sent to retrieve his company's CEO from an idyllic but mysterious "wellness center" at a remote location in the Swiss Alps. He soon suspects that the spa's miraculous treatments are not what they seem. When he begins to unravel its terrifying secrets, his sanity is tested, as he finds himself diagnosed with the same curious illness that keeps all the guests here longing for the cure. In October 2014, it was announced that Gore Verbinski would direct the film, with a script by Justin Haythe, for New Regency Pictures. By early June 2015, Dane DeHaan, Mia Goth and Jason Isaacs were cast for the film. Principal photography for the film began in late June, lasting 5 months. Interior shooting took place at Beelitz-Heilstätten, a huge abandoned hospital complex and mainly at Babelsberg Studio in Potsdam. The building itself and the area around it have been completely renovated after being a ruin for decades. 750 windows (1,000 sq m of glass), 350 doors, 1,200 sq m of walls and many other things had to be replaced or repaired to restore the original look of the building. Exterior shooting took place at Castle Hohenzollern in the German municipality of Bisingen. The castle was closed to the public for filming from July 13 to July 24, 2015. Aside from Hohenzollern, parts of the film were also shot in Saxony-Anhalt and Zella-Mehlis, Germany. The scenes in the grotto were planned to be shot in Vienna but the shooting was canceled shortly before the start. The film studio in Babelsberg therefore had to build an entire grotto of 2000 sq m on their own. The film received funds of €8.1 million, from the German Federal Film Fund (DFFF), as well as €500,000 from Medienboard Berlin-Brandenburg. The film stars Dane DeHaan, Jason Isaacs and Mia Goth. DeHaan gave a fine performance despite portraying a completely unlikable character. Isaacs and Goth both gave eerie and unsettling performance as two characters who are not what they seem beneath the surface. There are those times that you can enjoy horror movies because they're just fun despite being bad. A Cure For Wellness is not Gore Verbinski's best film, but it's far from his worst. It's eerie and unsettling, but it's also fun. However, it is a particularly uneven piece of work; yet, Verbinki’s eye is consistently impressive, creating swathes of Gothic imagery, sterling use of light and muted colour palette in his framing, and a great location in the form of the wellness center. Making this another rich visual experience with that distinctly European feel. While it certainly isn’t anywhere near the upper echelons of his filmography, it offers enough in the way of style and the gleefully macabre to keep it afloat. FFF Film Review: "Dark Inclusion" ("Diamant Noir") (2016). "The best way to have revenge on a family is to become a part of them." 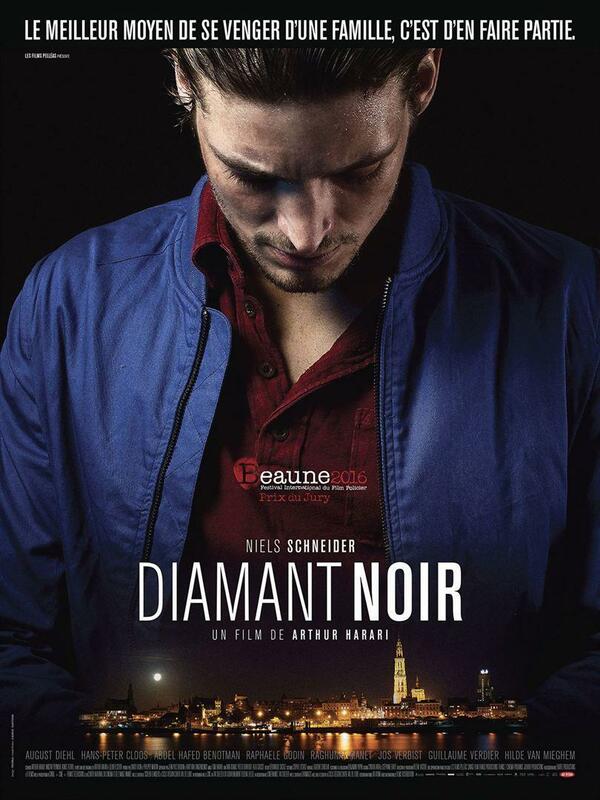 This is the tragedy that is Dark Inclusion (Diamant Noir). This French/Belgian heist drama thriller film directed by Arthur Harari, written by Harari, Vincent Poymiro, Olivier Seror and Agnès Feuvre, loosely based on William Shakespeare's Hamlet. After the death of Pier Ulmann’s father, poverty stricken and ousted by his family after a fatal accident. Pier’s desire to avenge his father leads him to infiltrate the ranks of his affluent diamond-dealing extended family. Considering the family culpable for his father’s loss, Pier plans a heist under the guise of carrying out construction work on the diamond firm. A modern interpretation of the classic film noir genre, Dark Inclusion stages all the ingredients: a criminal the audience feels for, a fast, forward-moving, gripping story, and a heist. In the vein of French masters of the genre such as Jean- Pierre Melville (Le Doulos) and Jules Dassin (Rififi), Harari’s polished film noir is set in the diamond district of Antwerp, Belgium. Originally conceptualised as a modern reinterpretation of Shakespeare’s Hamlet, playing on the traditional formula of a vengeful son taking apart his family for the sake of his tragically deceased father, the film is characterised by intense scenes and confronting cinematography. The audience can’t help but be on the edge of their seat as Pier’s quest for revenge quickly becomes compromised by unforeseen complications. The film stars Niels Schneider, August Diehl, Hans-Peter Cloos, Abdel Hafed Benotman, Raphaële Godin, Raghunath Manet and Jos Verbist. The cast gave terrific performances, each bringing their own to characters that are just as complex and twisted as the film itself. Schneider, especially, strikes a balance between Pier the brooding and Pier the indecisive. It's one of the best Hamlet performances you'll ever see. This is the tragedy of a man who could not make up his mind. Dark Inclusion has a sincerity and humanity that is along the lines of the conventions of a crime film, and manages to touch our nerves. The film is atmospheric, intriguing, intelligent and brutal. It is perhaps one of the most raw crime films that has ever come out of France. Viewers become something like collaborators, invested in working out whether what Pier is doing and thinking and then pleased to discover whether we've gotten it right or not. Director Arthur Harari doesn't waste much time in expressing exactly what he thinks of Pier and the family that rule the diamond business. However, this interpretation of Shakespeare's play suffers slightly from his pop-Freud approach to the character and from some excessively flashy, wrongheaded camera work. This film is unfortunately stands as one of the least important productions of the famous play. The film turns moralistic and sour in the last half, when things all go horribly wrong. Lastly, if elements of it seem overly familiar, that's only because films such as Rififi had done it first, and this film picked up by every heist film that came before it. FFF Classic Film Review: "The Umbrellas of Chebourg" ("Les parapluies de Cherbourg") (1964). 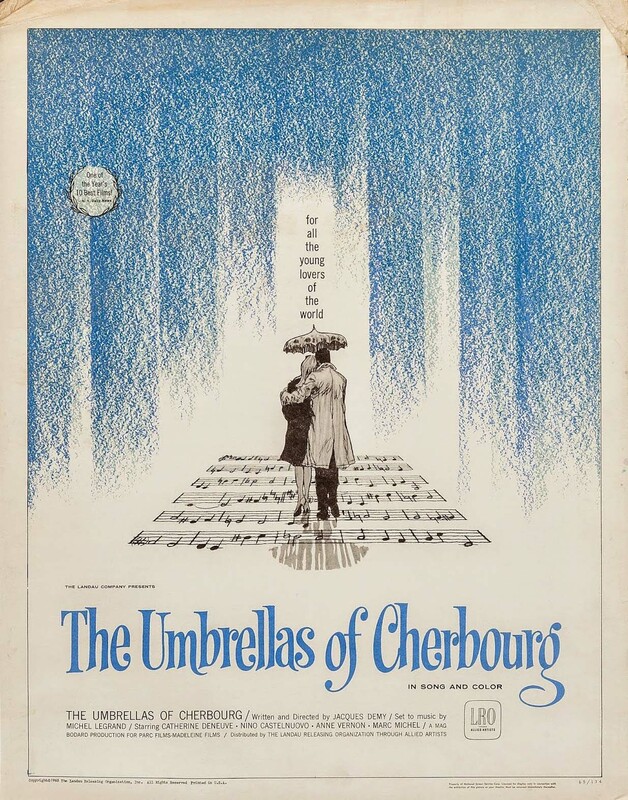 Though the film's tagline says "For All the Young Lovers of the World", but The Umbrellas of Cherbourg (Les Parapluies de Cherbourg) is more than just a valentine. This French musical film was written and directed by Jacques Demy, with music and lyrics by Michel Legrand. Set in Cherbourg, November 1957. The film centers on Madame Emery and her daughter, Geneviève, who run a store called The Umbrellas of Cherbourg. Geneviève is in love with Guy, a mechanic working in a garage. Their brief romance is interrupted when Guy is drafted to serve in the Algerian War. Suddenly left pregnant and desperate because she has little news of Guy, Geneviève is forced to make life-altering decisions. The second film in Demy's informal "romantic trilogy", between Lola (1961) and The Young Girls of Rochefort (1967), Demy and Legrand made a unique and crazy experiment: a melodrama entirely sung much in the style of an opera of the everyday, and is displayed through cinematographer Jean Rabier's vividly and brightly coloured photography. Both the continuous musical score and the sumptuous photography contributed to the popularity of the film. Formally the work is operatic, with the plot advanced entirely through dialogue sung with accompanying music. The whole is united by an orchestral score of simple rhythms and tunes that are integrated with the story covering five years. Thus resulted in Catherine Deneuve’s Geneviève singing herself into the hearts of audiences around the world. Either crazily admired or mocked, the film was an international success upon its release and has since become a major reference in world cinema. The film score established composer Michel Legrand's reputation in Hollywood. He later scored other films, winning three Oscars. In North America, two of the film's songs became hits and were recorded by many artists: I Will Wait For You (the main theme) and Watch What Happens (originally Recit de Cassard, Cassard's Story). Both were given new English lyrics by lyricist Norman Gimbel. Tony Bennett's performance of the theme song was added to one version of the soundtrack. Harry James recorded a version of Watch What Happens on his 1977 album Comin' From A Good Place (Sheffield Lab LAB 6). The film would go on to inspire many musicals afterwards, especially that of La La Land (2016), whom writer/director Damien Chazelle has cited as a primary influence and is one of his all-time favorite films. The film stars Catherine Deneuve, Nino Castelnuovo, Anne Vernon, Marc Michel and Ellen Farner. The cast gave terrific performances, especially that of Catherine Deneuve who radiated throughout the film and defined the term "Blonde Bombshell". The Umbrellas of Cherbourg adds a new dimension into a bygone genre with its unique and experimental direction, terrific performances, and its bittersweet yet poignant heart. It may look like the world that we dream about, but it also bravely shows the bittersweet, and sometimes cruel, reality of that world. The film is probably the most daring musical and that's why it deserves all the credit. Film Review: "Kong: Skull Island" (2017). "Awaken the King" He has finally awaken in Kong: Skull Island. This monster film directed by Jordan Vogt-Roberts, written by Dan Gilroy, Max Borenstein and Derek Connolly, from a story by John Gatins and based on the eponymous character by Merian C. Cooper and Edgar Wallace. The film is a reboot in the King Kong franchise and serves the second instalment in Legendary's MonsterVerse. The film centres on a team of scientists explore an uncharted island in the Pacific, venturing into the domain of the mighty Kong, and must fight to escape a primal Eden. 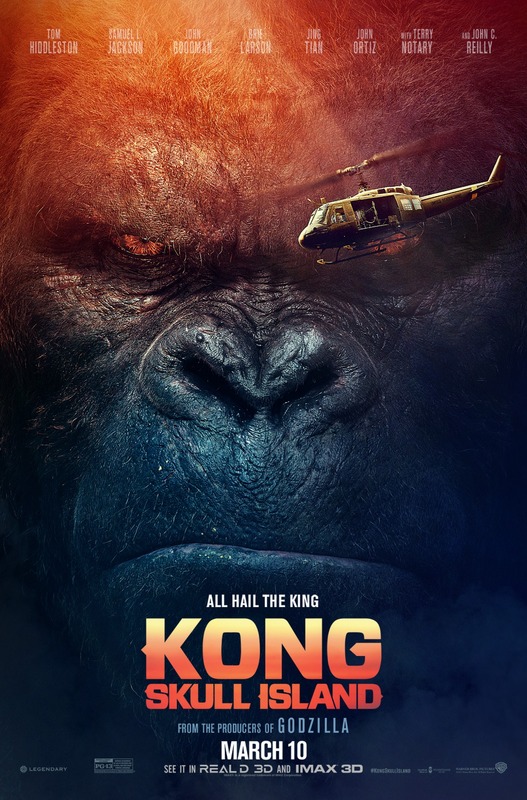 In July 2014, Legendary Pictures announced a King Kong origin story, initially titled Skull Island, with a release date of November 4, 2016 at the 2014 San Diego Comic-Con. Guillermo del Toro and Joe Cornish were originally considered for the director's chair before Jordan Vogt-Roberts was announced in September. In the same month, Legendary announced that film was moved from Universal to Warner Bros, so they could later make a King Kong and Godzilla crossover film, which would be released in 2020, since Legendary still had the rights to two Godzilla sequels with Warner Bros. The studio also announced that Tom Hiddleston would play the lead role. In December, the film was re-titled to Kong: Skull Island. Several screenwriters were attached to pen the script, which included Max Borenstein, John Gatins, Dan Gilroy and Derek Connolly. Borenstein and Vogt-Roberts' initial influence for the film was Apocalypse Now (1979). By November 2015, Samuel L. Jackson, John Goodman, Brie Larson, Jing Tian, Toby Kebbell, John Ortiz, Corey Hawkins, Jason Mitchell, Shea Whigham, Thomas Mann, Terry Notary and John C. Reilly were confirmed for the film. Principal photography began in October 2015, the film was shot throughout various location in Australia, Hawaii and Vietnam. 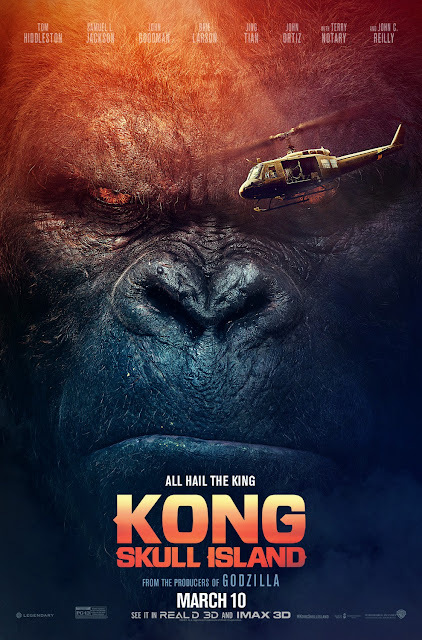 The film features the tallest incarnation of Kong in an American film, standing approximately 104 feet (31.6 meters) tall, this is the tallest incarnation since King Kong vs. Godzilla (1962), which stood approximately 147 feet (45 meters) tall. By comparison, Peter Jackson's Kong was only 25 feet (7.6 meters) tall. Kong's design is inspired by a combination of the 1933 incarnation and the Japanese incarnation. The film features an ensemble cast that includes; Hiddleston, Jackson, Goodman, Larson, Tian, Kebbell, Ortiz, Hawkins, Mitchell, Whigham, Mann, Notary and Reilly. With little to no characterisation, the cast gave the best performances they could. Hiddleston and Larson's characters were the weakest and the least interesting. While John C. Reilly was the best character in the film and stole the entire show. With just enough Apocalypse Now inspired flair to anchor the spectacle of Kong roaming and brawling, Jordan Vogt-Roberts' Kong: Skull Island satisfyingly restores the franchise's giant ape glory. It is truly the first joyous popcorn action movie of the season. However, like Godzilla (2014), the issue with the film was that the human characters were not that fun to watch. Sometimes we wish they would just leave the screen when he or she was there, they were a letdown. 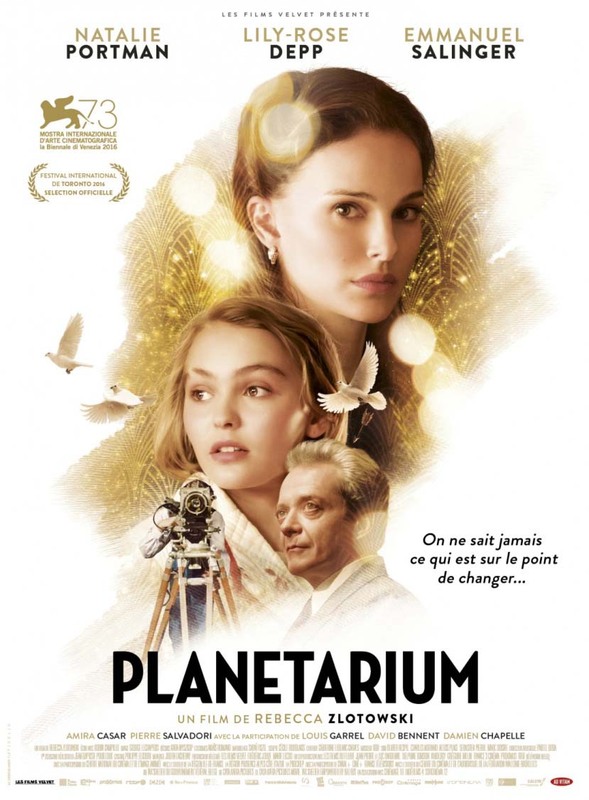 FFF Film Review: "Planetarium" (2016). "We will never know what is on the point of changing." This is at the heart of Planetarium. This French-Belgian drama film directed by Rebecca Zlotowski. The film follows the journey of sisters who are believed to possess the supernatural ability to connect with ghosts. They cross paths with a visionary French producer while performing in Paris. After the success of her second feature Grand Central in 2013, in May 2015, it was announced that Rebecca Zlotowski would be directing from a screenplay by her and Robin Campillo (They Came Back (2004)), with Frederic Jouve (who also produced Zlotowski's Grand Central) and his Les Films Velvet banner producing and financing. The film is loosely based on the lives and works of the Fox sisters and other formative figures in the field of Spiritualism. It was also announced that Natalie Portman and Lily-Rose Depp had been cast in the film as the Barlow sisters, who specialise in seances. Principal photography for the film began late September 2015, and was shot throughout France, especially Paris. The film was the first film to be entirely shot on the Alexa 65. The filmmakers utilised the digital format to reanimate the gauzy quality of the weathered and lucid celluloid quality found in the 1930s. The film stars Natalie Portman. Lily-Rose Depp, Louis Garrel and Emmanuel Salinger. The cast gave fine performances that elevated and carried the film, especially the two female leads. Both Portman and Depp gave surprisingly fine performances and their French was immaculate. This shouldn't have been a surprise considering that Depp is the daughter of Vanessa Paradis, the famous French actress and singer. As for Portman, it shouldn't be a surprise since Portman is a Harvard graduate and is married to French ballet dancer Benjamin Millepied. Whom Portman met during the filming of Black Swan in 2009. Plus, she is undeniably one of the best actresses of her generation, there is a role she can't take on at this point and she is, by definition, a chameleon. However, her performance in the film is not as powerful or Oscar-worthy as her performance in Jackie. Planetarium is a film that is both underwritten and over-performed. Many of the scenes seem to have been whittled down to the nub, which at times turns it into a succession of wordless gestures and poses. Given the generally risible dialogue, this isn’t necessarily a bad thing. However, at time, the film feels more unimaginative than compelling, and is an oddly plotted and frantically paced pastiche. In addition, even though it features some extravagant and entertaining moments, the film feels more like a European TV drama than an actual cinematic period drama. In the end, it is a spiritual drama that tries to be drama, comedy, romance and fantasy all in one bag, mixed together to become a not-so successful result. A film that sometimes appears more silly, muddled and confusing as though a hex has been placed on it. "This is the story of a lifetime." This is Moonlight. This African-American LGBT drama film directed by Barry Jenkins, written by Jenkins and Tarell Alvin McCraney, based on the previously unpublished play In Moonlight Black Boys Look Blue by McCraney. The film is a chronicle of the childhood, adolescence and burgeoning adulthood of a young gay black man, and his struggle to find himself. McCraney's play was shelved for about a decade after he first completed in 2003. After the release of his debut feature film Medicine for Melancholy (2008), Jenkins struggled to get future projects off the ground. In January 2013, producer Adele Romanski urged Jenkins to make a second film. The two brainstormed a few times a month through video-chat, with the goal of producing a low-budget "cinematic and personal" film. Jenkins was introduced to McCraney’s play through the Borscht arts collective in Miami. After discussions with McCraney, Jenkins wrote the first draft for the film during his month-long visit to Brussels. Jenkins took narrative structural inspiration from Three Times (2005) by Taiwanese director Hsiao-Hsien Hou. Although the original play contained three parts that chronicled a day in the life of Little, Chiron and Black simultaneously, Jenkins instead chose to split the film into three distinct parts and to focus on Chiron's story from the perspective of an ally. The result was a screenplay that reflected the similar upbringings of Jenkins and McCraney. Both grew up in Miami, specifically in Liberty Square, and both their mothers struggled with drug addiction. In 2013, Jenkins then began his search for financing, which he successfully obtained after an early meeting with Brad Pitt. Pitt helped Jenkins get the necessary funds and distribution deal he required. With a minuscule budget of $1.5 million, Principal photography commenced in October and concluded in November 2015. The film was shot throughout Miami during its breakneck 25-day shoot. In regards to the look of the three different chapters, Jenkins and his longtime cinematographer James Laxton achieved this by shooting on widescreen CinemaScope on an Arri Alexa digital camera. Then manipulated the colours and looks of the different chapters. This was achieved by increasing the contrast and saturation while preserving the detail and color, as well as imitating three different film stocks. The first chapter emulated the Fuji film stock to intensify the cast's skin tones. The second chapter imitated the Agfa film stock, which added cyan to the images, while the third chapter used a modified Kodak film stock. The film stars Trevante Rhodes, André Holland, Janelle Monáe, Ashton Sanders, Naomie Harris, and Mahershala Ali. Each of the cast gave raw, gritty and unique performances that anchored the film and carried it forward. 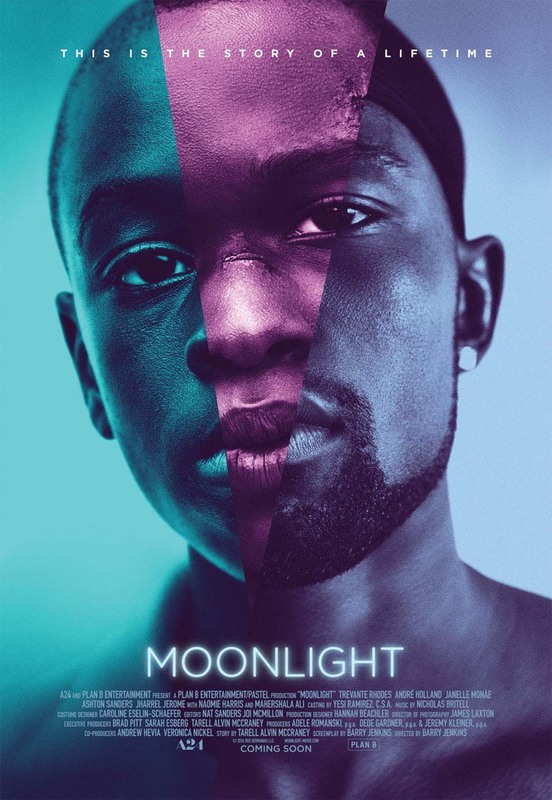 An honest examination of finding ones self, in this case their sexuality, has rarely impacted more powerfully than Moonlight. The first African-American film in a long line of coming-of-age LGBT dramas. However, the film's merits comes more from its distinctive visual beauty rather than its sometimes chopped and screwed narrative. "His time has come." The time has finally come with Logan. This superhero film directed by James Mangold, written by Mangold, Scott Frank and Michael Green, and based on the graphic novel Old Man Logan by Mark Millar and Steve McNiven. The film is the tenth installment in the X-Men film series, as well as the third and final Wolverine film, following X-Men Origins: Wolverine (2009) and The Wolverine (2013). In the near future, a weary Logan cares for an ailing Professor X in a hide out on the Mexican border. But Logan's attempts to hide from the world and his legacy are up-ended when a young mutant arrives, being pursued by dark forces. Development for Logan began in November 2013, when Mangold was hired to write a treatment that took inspiration from the graphic novel Old Man Logan. In March 2014, Jackman signed on to star as Logan, in what is intended to be his final portrayal of the character, after having played the role for 17 years. Jackman has cited his age and his skin cancer as factors in him retiring from the role. The same month, Fox set a release date and officially brought Mangold onboard to direct. Green took over writing duties in April 2015. By the following April, most of the supporting roles, which includes Patrick Stewart, Richard E. Grant, Boyd Holbrook, Stephen Merchant and Dafne Keen, had been cast. Principal photography began in May 2016 and concluded in August 2016. Locations included New Orleans, Louisiana, Natchez, Mississippi, and Albuquerque, Rio Rancho, Abiquiú, Tierra Amarilla and Chama, New Mexico. In the same month, producer Simon Kinberg confirmed that the film will be R-rated. Mangold revealed that Fox was hesitant for the film to be R-rated. However, thanks to the success of Deadpool (2016) and Jackman taking a salary cut, the film was able to keep its R rating. The film stars Hugh Jackman, Patrick Stewart, Richard E. Grant, Boyd Holbrook, Stephen Merchant and Dafne Keen. The cast gave spectacular performances, especially Jackman. Jackman gives a career-defining performance for the ages. Jackman creates a galvanizing and deeply moving portrait that instantly takes its place among the great, iconic screen performances. Jackman's performance is a celebration of a silver-screen comic book character that we have loved since he was first brought to life in 2000. Logan is a rich and dramatic swan song of the beloved X-Men character and a career-defining film for Hugh Jackman. The film contains something more than the action and the grandeur that we have come to have loved about the X-Men films. 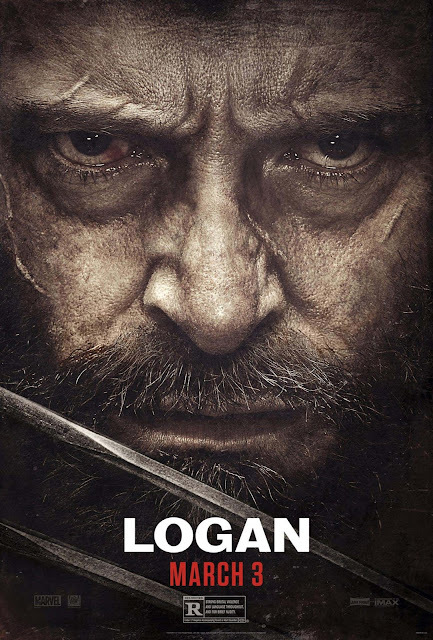 It contains a tremendous comprehension of the bitterness and passion of the character of Logan. It contains a human revelation of the soul of Logan that prevailed in his heart all along, instead of the soul of the savage animalistic killer we know. And it also contains a very wonderful disection of the father/child relationships in Logan, Charles Xavier and Laura amid all the action-packed moments, the blood-soaked violence and landscapes of a futuristic western frontier. Also, see my review for The Wolverine and Deadpool.